Coursera is offering great algorithmic courses Algorithms, Part I and Part II by Robert Sedgewick. 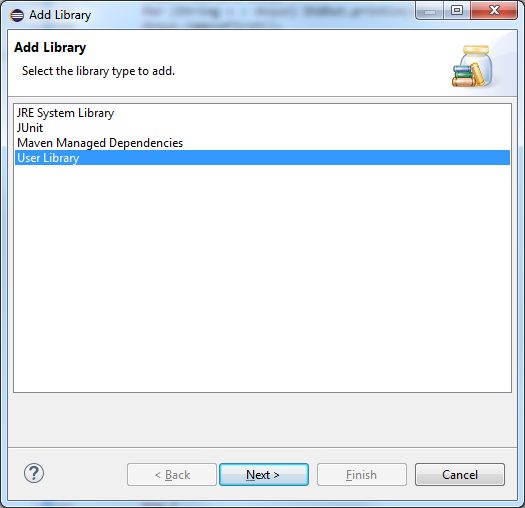 The only problem with them is Dr. Java IDE they recommend. It is free, usable but completely impractical when it comes to debugging. 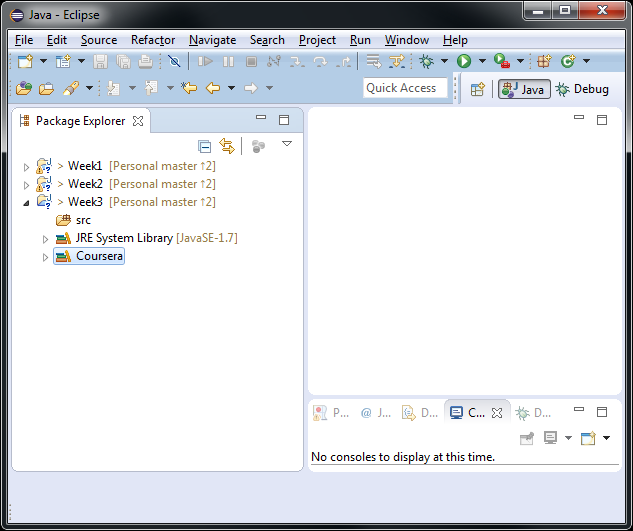 I’ve configured Eclipse IDE and my productivity increased significantly, especially when it comes to debugging. 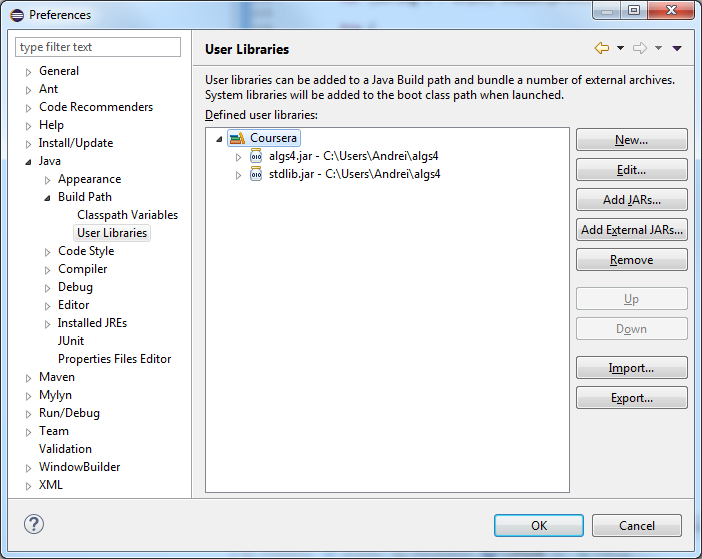 Follow instructions in eclipse.pdf to configure Eclipse. Eclipse worked well for me and as I mentioned previously increased my productivity which made studying fun again. 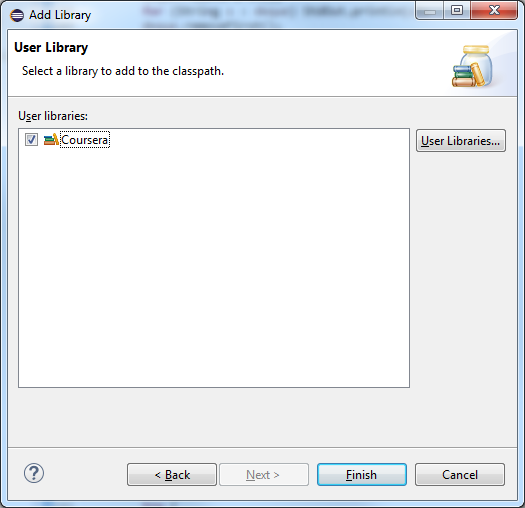 This entry was posted in Coursera, Java, Software Development on February 14, 2015 by andrei.